Fraud and not an honest Best Prostate review. 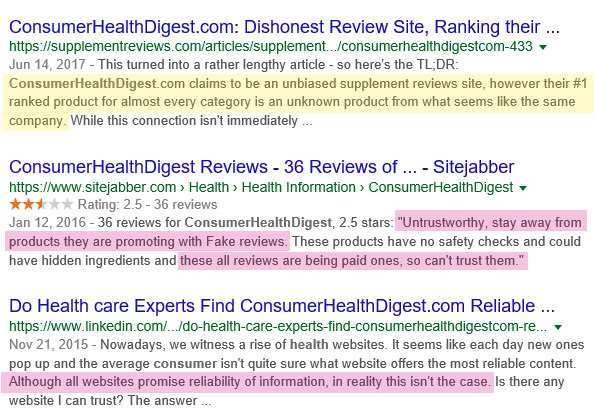 ConsumerHealthDigest.com uses lies and false information to make consumers buy from their advertisers. The FTC Disclosure statement explains that. Interesting though is what other sites say about ConsumerHealthDigest.com. It’s sad that you the consumer is lied to so that these websites can make money by getting you to buy from their sponsors or advertisers. No where does it give the academic credentials of the reviewers. The Best Prostate review claims that there are two “cons”. This is false: On every bottle of Best Prostate ® it states that the product is manufactured in a GMP Registered Facility. In addition dietary supplements do not get FDA approval! This suggests that the products the site recommends have FDA approval. Obviously Mark Simms (the alleged author) is not qualified to review or write about supplements or he would know this. Nowhere will you find the writer’s credentials that would qualify him to review one product from another. You the consumer need to beware of these sites. 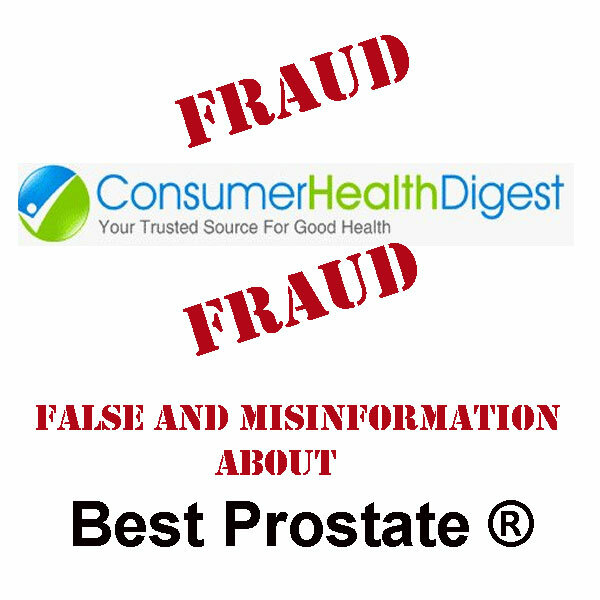 ConsumerHealthDigest,com illegally uses an old image of Best Prostate in violation of the DMCA which misrepresents the product. The product image used is from 2010. This label was discontinued over 8 years ago. On January 13, 2011 the manufacturer on the label was changed and the corporation IMS Supplements, Inc. was endorsed and filed by the Secretary of State of the State of California. In the next section ConsumerHealthDigest.com gives fraudulent misinformation about the use and precautions. We are in the process of having legal counsel contact and address these issues. Please visit http://bestprostate.com/label/ to get the truth about what’s in Best Prostate.